Why do Optimist Volunteers matter? It has been two months since my last post. That seems impossible to me, but the archives do not lie so as I set out this morning to catch up - so to speak - I was contemplating a very serious topic. I planned to explain that in a membership organization members are customers. Not only are they customers, many are fans; the people that will always buy what you are selling. I was then going to launch into a critique about the services that are missing from the district in which my Optimist Club belongs and caution that if members' needs are not met, like most customers, they will shop around and perhaps find their supplies somewhere else. If one is not cautious and strategic, a club will lose its fans. Whew! That's a one paragraph recap to what was going to be a 300-word essay. Here is what saved you from my pontifical musing. I opened my email to find the latest club bulletin from the Optimist Club of Albuquerque. Editor Jim White puts a lot of information into the four-page publication every week and this week was no different. What caught my attention and made me smile was this picture. 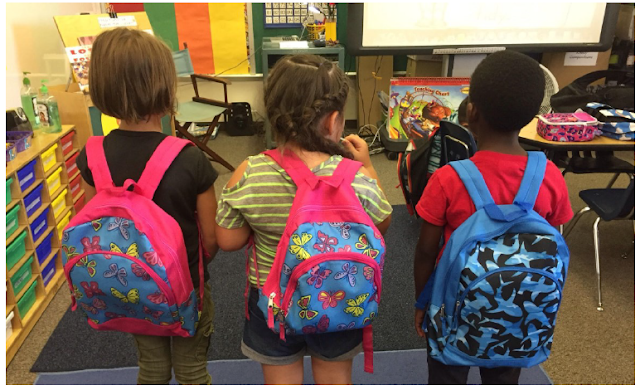 The caption read: First Graders at Janet Kann Elementary with Optimist backpacks full of supplies. As I looked at the picture, I thought, those backpacks could have been provided by anyone or any group, but they were not. They were provided by an Optimist Club. 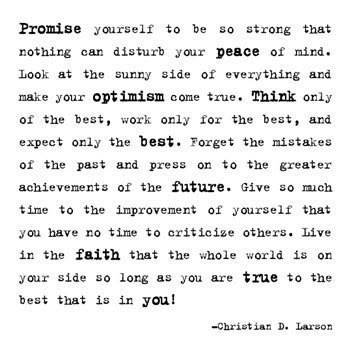 Like most Optimist Club members, I enjoy the social proof that answers the question, why are you an Optimist? This picture explains what we do (help children) and one can imagine how we do it (collecting and distributing school supplies) and why we do it (so that children can participate in school and get the education they need to live up to their full potential). What it doesn't explain is how belonging to an Optimist Club makes the difference. Bringing caring adults together on a regular basis, Optimist Clubs discover local needs and develop plans to meet those needs. As an established organization, the Optimist Club offers a consistent point of contact; serves as a charitable fundraiser and funding source; and shares hope through positive words and deeds in the community. Optimist Clubs are as relevant today as they were when they started in 1911. Yes, there is more competition from other organizations and corporations that provide social welfare and civic services, but only one provides the opportunity to serve as an Optimist Volunteer. Optimist Clubs, the local chapters of Optimist International, are the positive face of community service in North America and around the world. You are invited to be an Optimist Volunteer. Find a club near you and #JoinAnOptimistClub today.